THURSDAY, July 10, 2014 (HealthDay News) -- About six out of 10 adults make use of calorie information on menus, if it's available, to decide what to order in restaurants, according to a new U.S. study. Women in particular review the menu labeling, said the study's lead author, Seung Hee Lee-Kwan, an epidemiologist with the U.S. Centers for Disease Control and Prevention. Two-thirds of women surveyed said they used menu labeling to help choose their meal, compared with just under half of men, the study reports. That women are using the calorie postings can be seen as good news for the ongoing battle against childhood obesity, said Libby Mills, a registered dietitian/nutritionist in West Chester, Penn. "It's encouraging because they are typically caretakers of the children," said Mills, who is also a spokeswoman for the Academy of Nutrition and Dietetics. "If they are looking at the nutrition information, children can learn from them and model that behavior, and I think that's exciting." Using that information, women also can help their kids make healthier meal choices, she said. The findings appear in the July 11 issue of the CDC's Morbidity and Mortality Weekly Report. The report is based on information from more than 100,000 people in 17 states who participated in the agency's 2012 Behavioral Risk Factor Surveillance System survey. In all 17 states, menu labeling use was highest among women. However, use varied widely among states. Overall, 57 percent said they used calorie labeling at least some of the time. Montana had the lowest proportion of label readers, with 48.7 percent of diners using the information to select items. New York had the highest proportion with 61.3 percent of diners using the calorie counts, followed closely by Hawaii. This variation could be explained by the fact that there is no universal menu labeling requirement in effect across the United States, Lee-Kwan said. Congress passed legislation in 2010 requiring menu labeling at restaurants with at least 20 locations nationwide, as part of the Affordable Care Act. However, the Food and Drug Administration has not yet issued the regulations that would enforce menu labeling everywhere in the United States. Some restaurants voluntarily display the information, Lee-Kwan said, and some jurisdictions -- most notably New York City -- have passed local laws requiring menu labeling. "Those local requirements could actually increase the menu labeling use in some states," Lee-Kwan said. "If it's not available, you can't use it." 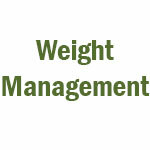 Prior research has shown that many diners underestimate the caloric count of meals when they eat out, the report noted. It's believed that calorie labeling can help people who want to lose weight to order less fattening dishes. Lee-Kwan and Mills said they're concerned that so many people -- 4 out of 10 in this survey -- still don't use the calorie information to help guide their meal choices. Although the CDC study didn't address the point, prior research has shown that people who already eat right are more apt to use menu labeling, Mills said. "I was not surprised that the data is not being universally used," she said. "Those who basically had healthy diets in the past were typically ones who used the nutrition information." This could blunt the impact that menu labeling could have on the obesity epidemic. More than one-third of American adults is obese, the CDC says. Marketing and communication strategies that draw attention to the menu labels or highlight particularly healthful options could attract more attention from people who usually ignore nutrition facts, the CDC report said. "The implication is out there that if the nutrition information is posted and some groups are downright missing it or not using it, there's got to be some way to appeal to their interest and attention," Mills said.